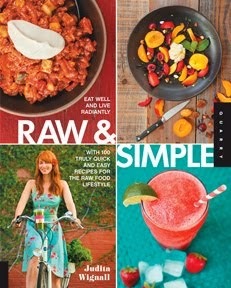 I went to Expo West a couple weeks ago to check out the latest happenings in the health food world. Though I wouldn't say much of the food offerings were exactly health food, it's good to know there are a lot of companies who are at least making an effort in changing the Standard American dinner plate. I didn't discover anything super innovative this year but the trend toward using stevia as a sugar substitute in products was definitely prevalent. NOW foods have really stepped it up on creating a non-bitter stevia liquid that is raising the bar across the board. So Delicious is coming out with a sugar free line of their coconut milk and coconut ice creams using stevia that were very, very good. I was blown away by how great their sugar-free ice cream was in particular. After I made the rounds on the main floor of the expo I went down to the lower level (or 'hot new products' section) where my favorite raw companies were handing out delicious samples. I made a bee-line to Hail Merry, whose snacks I fell in love with last year, to see what was new for this year. 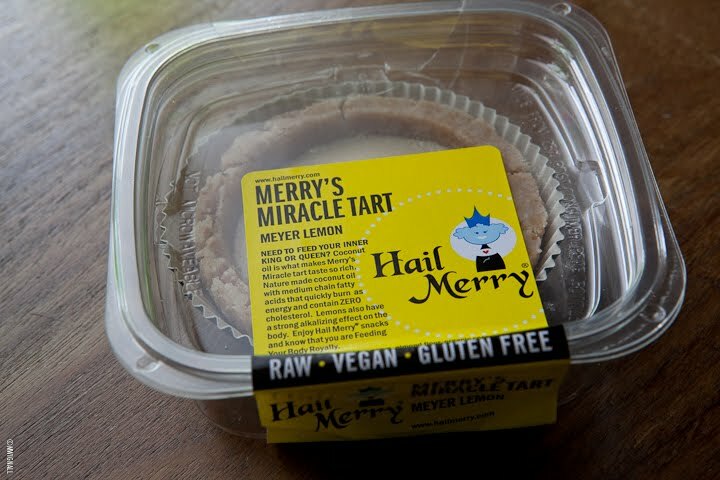 Behold Merry's Myer Lemon Miracle Tart. There are 3 servings in one tart. The "miracle" is not eating it all in one sitting. This was sooooo goooood. 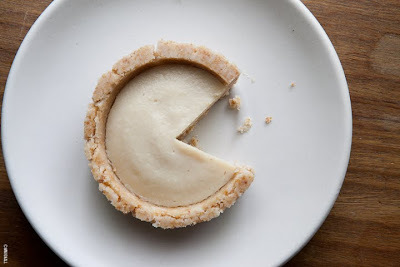 Very tart and lemony, just the way I like, and has a creamy, melt in your mouth sort of cheesecake consistency. Very much like Earth Cafe desserts. It's incredible. The crust which is made of almond flour, coconut butter, palm sugar and sea salt is thick and buttery tasting. My husband and I had a fork sword fight over the last few morsels. 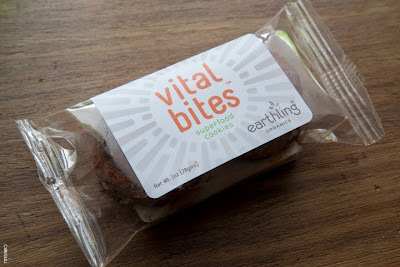 A couple other fun snacks new on the market were from Earthlings Organics who also make raw, vegan, gluten-free treats. I anxiously ripped open their chocolaty Vital Bites superfood cookies soon as I got home. You had me at cacao. 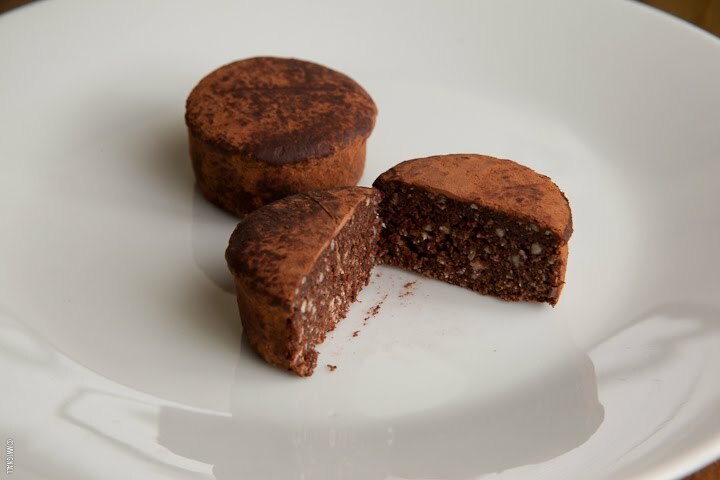 These are really tasty, brownie type bites made of dates, almonds, coconut, cacao and mesquite. The label says "may contain immeasurable amounts of love and hard pieces." I only tasted the love. 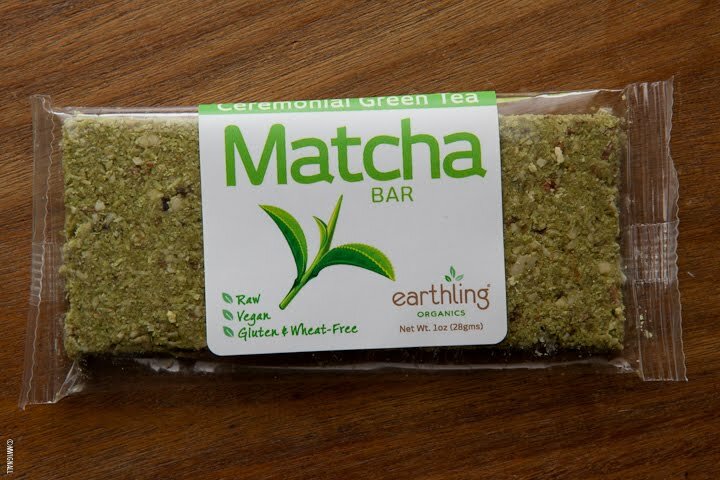 I wasn't sure I'd like the Ceremonial Green Tea Matcha Bar as much as I did. 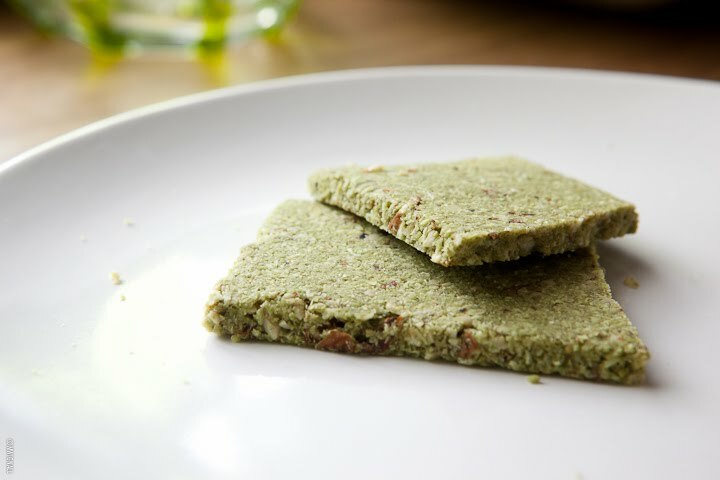 Made with coconut, almonds, pumpkin seeds, figs, agave, matcha (green tea) and lemon, it had a really nice crunch and texture. Not bitter at all from the matcha, I mostly picked up the coconut and lemon flavors. I liked that it wasn't too sweet and didn't taste like a typical dehydrated snack. This is something I would keep in my purse when I'm on the go. Um, yum! So jealous, that tart sounds amazing. I love lemon in desserts! Off to preorder your book! Bug congrats! Okay these looks great. I have never seen these before. I will have to look into getting them. 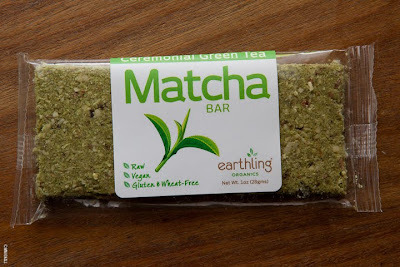 I love matcha tea. Yum.